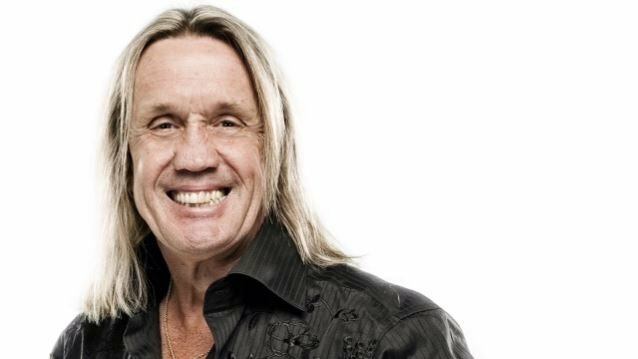 IRON MAIDEN's Nicko McBrain, who turned 65 on June 5, says that there are no plans for the band to retire anytime soon. "We know we're getting long in the tooth, as they say," the drummer said during a June 7 appearance on the "Trunk Nation" show on SiriusXM channel Volume (106). "And Janick's [Gers, IRON MAIDEN guitarist] always said, 'We'll never become a parody of ourselves,' and that's a really good, wise statement, because if we don't give it one hundred and fifty million percent, which is what MAIDEN has always done in a live show scenario, we probably wouldn't do it anymore." Regarding MAIDEN's plans for the immediate future, McBrain said: "The main thing is 'The Book Of Souls' tour, the rest of the American tour — another five weeks of touring — and then we put this tour to bed. As Bruce [Dickinson, IRON MAIDEN singer] says at the gigs, we're gonna send this one back to the jungle; we won't see this again. And then we'll talk about probably what we're gonna do next. There's no plan, but that's always been the way. Sometimes what'll come up and go is a two-year, three-year plan. This hasn't happened yet. But no one's talking about, 'Oh, let's do a farewell tour,' or, 'Let's knock it on the head.' We all still have this drive and the passion for the music and for playing onstage with one another." He continued: "For me personally, I've always said to Steve [Harris, IRON MAIDEN bassist] and the guys, 'If I can't cut it, cut the mustard, then I'll step down and let someone else take over.' But praise the Lord, I've still got my health, and I'm still doing what I do pretty well — not like I used to. But I still love it, and the boys love it, the audiences love what we do…"
Nicko also spoke about Dickinson's recovery more than two years after the singer was given the "all clear" following the completion of a seven-week course of chemotherapy and radiotherapy for a cancerous tumor on his tongue. "Obviously, through the treatment, [Bruce's] main concern was saliva glands — he kind of lost a lot of the function in percentage, percentile of his… [He was suffering from a] dry mouth," Nicko explained. "So what we did was, to overcome that, we've got certain areas on the stage that are disguised where he's got water bottles in 'em, so he can have a quick… hydrate his mouth. But what happened was the more he started singing, the more he could deal with that. And to be very honest with you, I think his singing is stronger now than it's ever been. 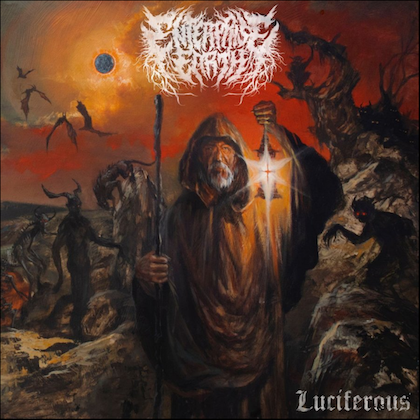 I mean, that album, the vocals he put on 'The Book Of Souls' are just frighteningly good, and that was with a golfball-sized tumor on the back of his tongue. So after all this wonderful… Not 'wonderful' treatment — it's the worst thing in the world to have that chemo and radiology and stuff." He continued: "The thing that amazed me about Bruce was he bounced back so quickly. I mean, the doctor said, first week of May [of 2015], he went to see his oncologist and they were gonna see how he was doing and was it in relapse or was it in remission and they got the good news. But they said now the problem with your body is it's gonna be fighting all the stuff that's been going on with it for the last two or three months. The doc said [it would take] a year [to recover]. [But] Bruce [went], 'No, I'll be done… We'll be ready to start rehearsals in January .' So he came back after seven months of just relaxing and taking it easy and doing what you do. He went on supplements and stuff like that and he's really looked after himself, he really studied it, and he's come back [stronger than ever]." MAIDEN's recent European tour consisted of a total of sixteen dates, including three shows in Germany, eight in England, two in Scotland and one each in Ireland and Wales. The U.K. leg marked MAIDEN's first full U.K. arena tour in six years.